In this day and age, although many businesses operate solely online, the majority couldn’t operate without a traditional telephone line; choosing the right one can be confusing, however. In an ever changing technological environment, telecommunications has come leaps and bounds. In the last 10 years there has been a shift amongst businesses adopting traditional ISDN services. So, what is SIP and why are so many businesses moving over to SIP Trunks? SIP stands for Session Initiation Protocol. 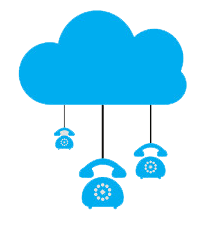 Without getting too technical, in short, SIP is an IP telephony service, where calls can be made and received over a broadband connection. as an end-to-end service with an availability guarantee, voice channel guarantees and voice Quality of Service. SIP trunking is rapidly replacing ISDN services and Midshire is the UK’s leading SIP trunks provider. Our SIP trunks connect your site directly into the Midshire network via an IP connection to carry and terminate your inbound and outbound voice calls across the public telephone network. Midshire SIP Trunks provide a highly-flexible alternative to ISDN and are compatible with all the leading IP PBX brands in the UK market, giving you peace of mind that your PBX hardware works with the network service. Compared to ISDN, Midshire SIP Trunks are cheaper on a per-channel basis and more flexible in terms of what telephone numbers you can have and the locations in which you can have them. that ensures your business never loses any calls. Our service can support connections ranging from two channels for businesses with small PBXs, with no limit on the number of channels that can be supported for large enterprises and contact centres.